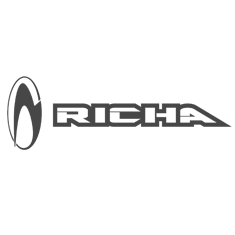 Richa expands its range with the Brando jacket. This vintage style short leather jacket is constructed of very durable cowhide leather that has been tumble finished to make it soft and supple. This makes it the perfect jacket to wear both on and off the bike: extremely comfortable, undeniably stylish when walking around town and very protective when riding your bike. The jacket comes with CE-approved armour in the shoulders and elbows and there is a pocket for an optional back protector.